Fortnite turns one year old today and gets a ton of changes by way of the v5.10 update. Fortnite turns one year old today and gets a ton of changes by way of the v5.10 update. 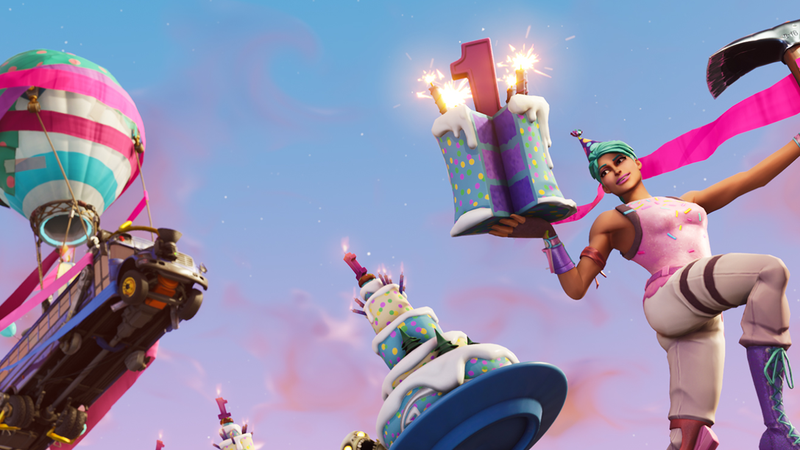 In addition to a new SMG and a bunch of balance tweaks, it also adds a limited time birthday event complete with special challenges and slices of cake littered across the map.